The Response HG is championship tested and gives your athletes superior performance, traction and shock absorption. 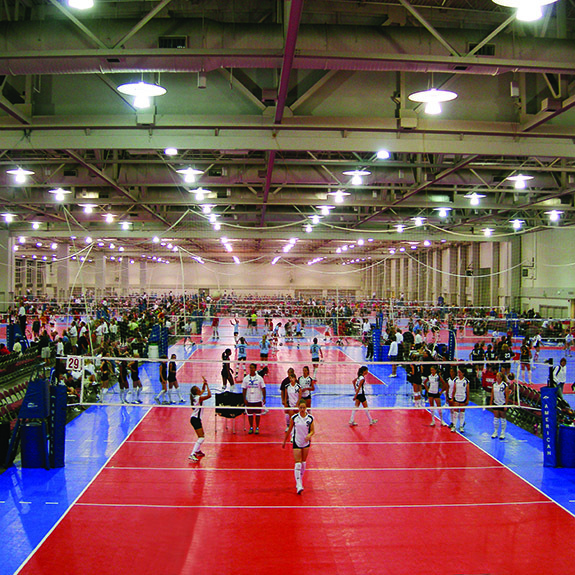 As The Official Playing Surface of the NCAA Volleyball Championships and USA Volleyball National Teams, our courts can bring your athletes to a new level. With low life-cycle costs, we can save you money and bring you courts in as little as 3 days. You get attractive alternative that can pass off as a traditional hardwood maple court. The upside is that splinters are not included. Defense™ brings you a best in class, comfortable surface for any kind of play. 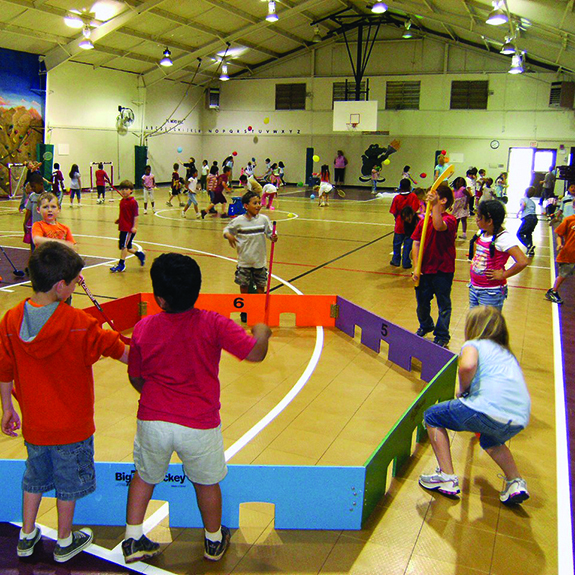 This low cost, proven performer is an excellent surface for elementary and middle school gyms, and activity centers. Quick install will fill your facility with play as soon as possible. 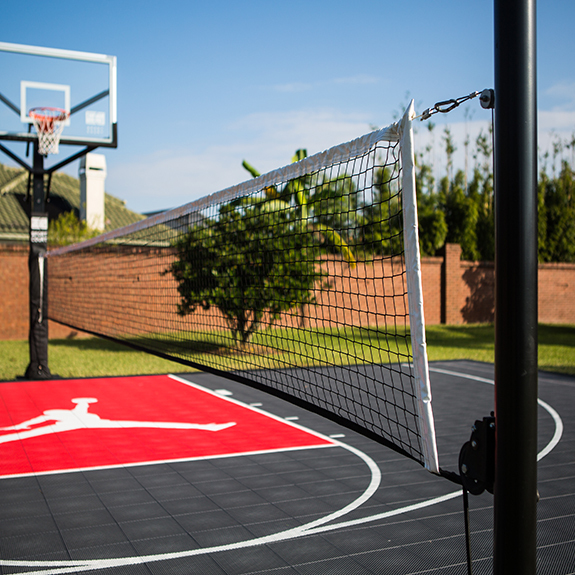 With the lowest skin abrasion of any outdoor court surface, the patented Double-Tier shock absorbing grid and Lateral Forgiveness™ we offer the safest outdoor court in the world. Our high quality materials and UV stabilizers protect your investment for its life, saving you money in the long run. Multi-sport play has just reached a new level with SportGame’s advanced athletic surface technology. Safe play is available at an affordable price. Reduce your joint stress without sacrificing ball bounce and response with our Lateral Forgiveness™. SportDeck™ will outlast conventional acrylic courts and become the ideal surface for racquet sport players at any skill level. For nearly twenty years SportDeck™ has been the reliable outdoor surface with excellent ball control and reduced joint stress and fatigue through our patented Lateral Forgiveness™. 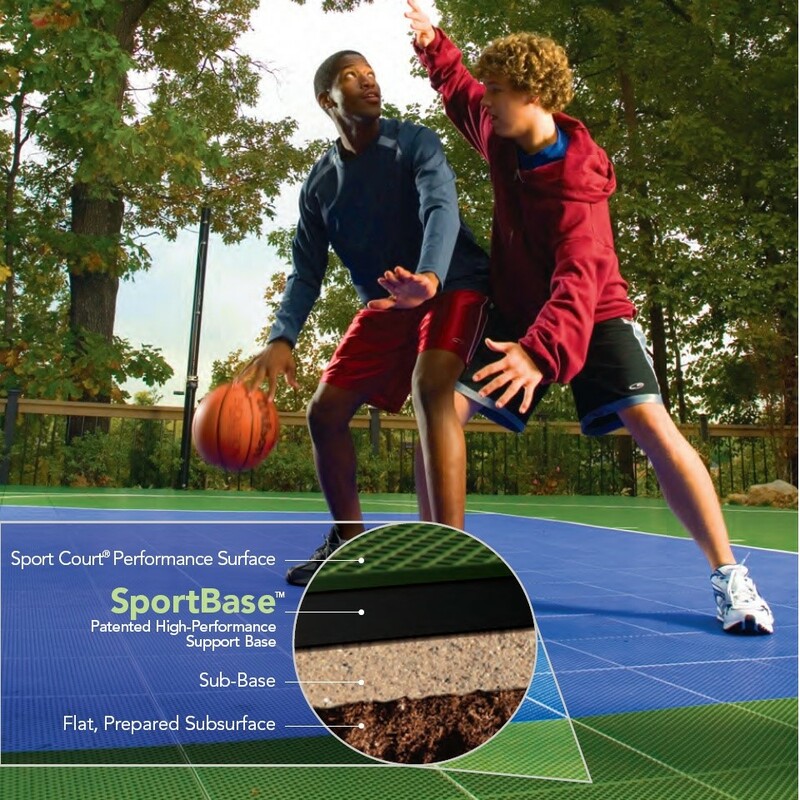 Replace your Game Court or outdoor court surface with SportBase™, a high-performance concrete. This is made from 100 percent recycled materials created for use under any Game Court™ system. 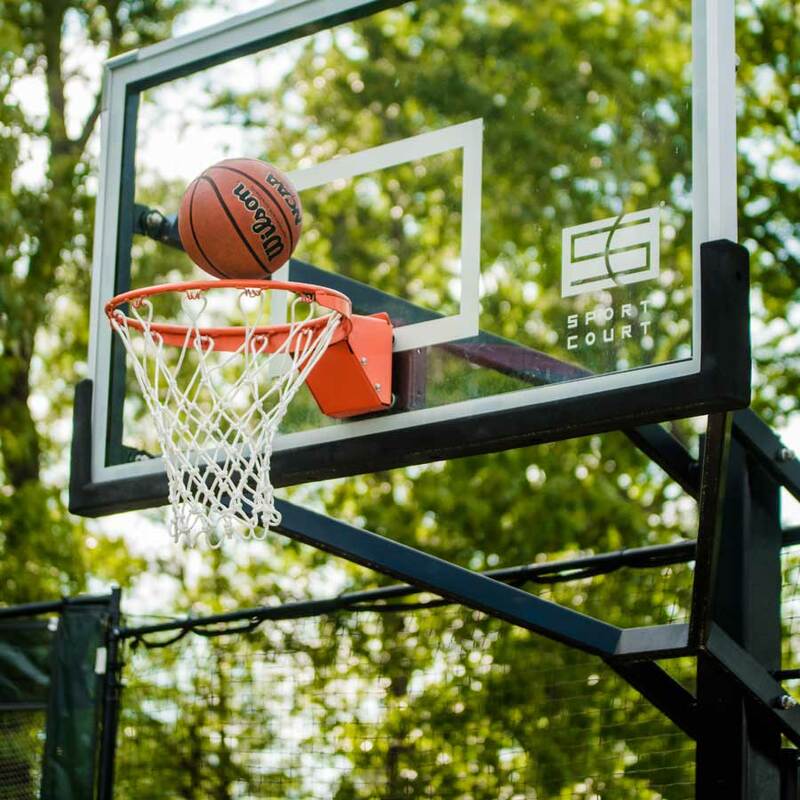 Our in-ground basketball hoop systems ensure the highest in performance and safety. 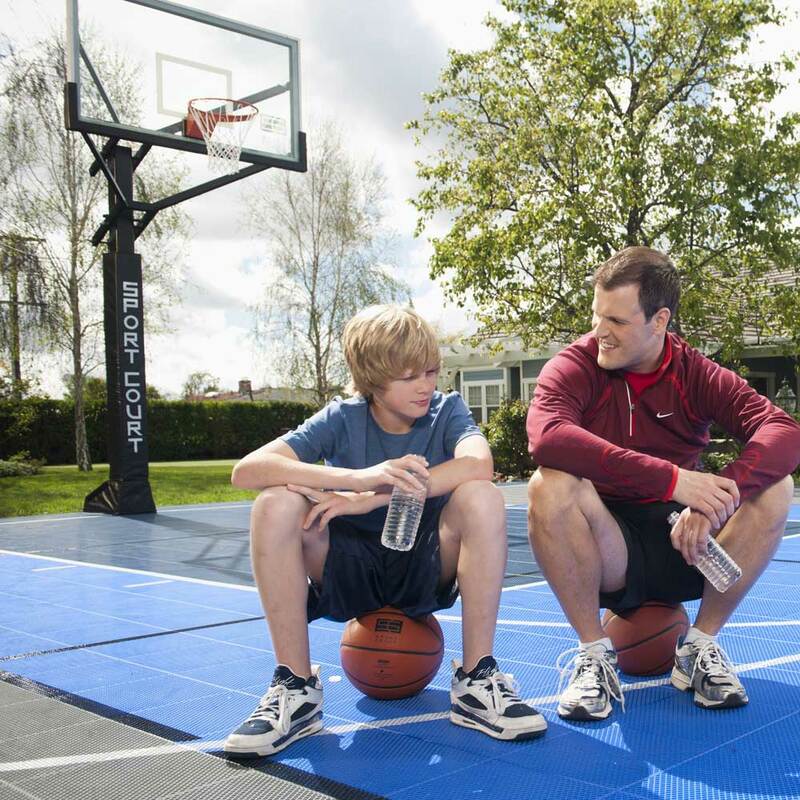 Advanced height adjustment system makes it so your court can be used by players of all ages. Tempered glass backboards and pole pads deliver pro-level rebound and increased safety. Your play time doesn’t have to end when the sun goes down. 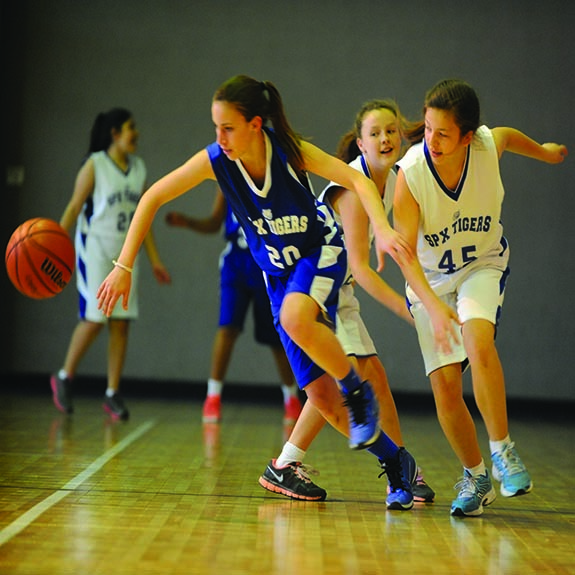 Our single and double headed Sport Court Light Systems bring you just that. Don’t waste your time chasing after the rebound. 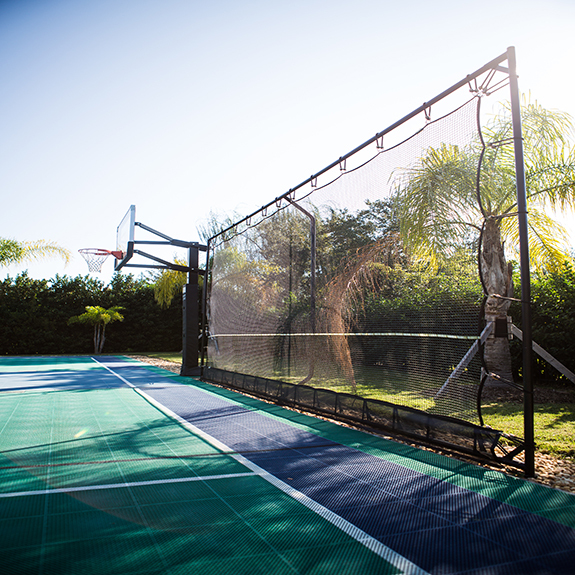 With Sport Court® Ball Containment, our unique system delivers years of attractive protection for your court with a soft-fence netting at a much lower cost than permanent chain-link and other fencing. 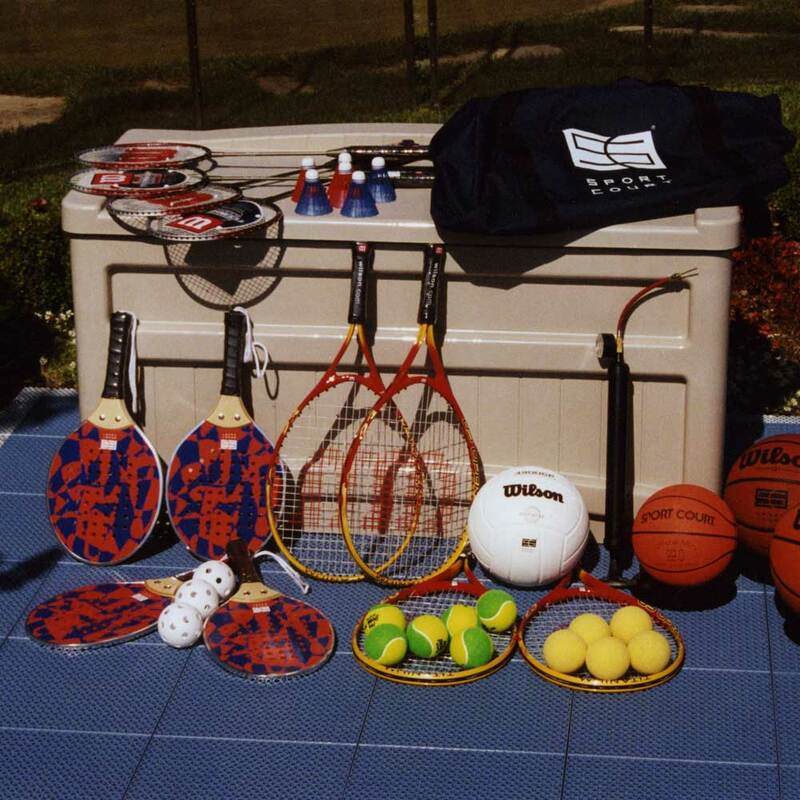 Sport Court® Kansas City will provide you with a range of high quality balls, racquets and gear required for maximum enjoyment of your backyard court. 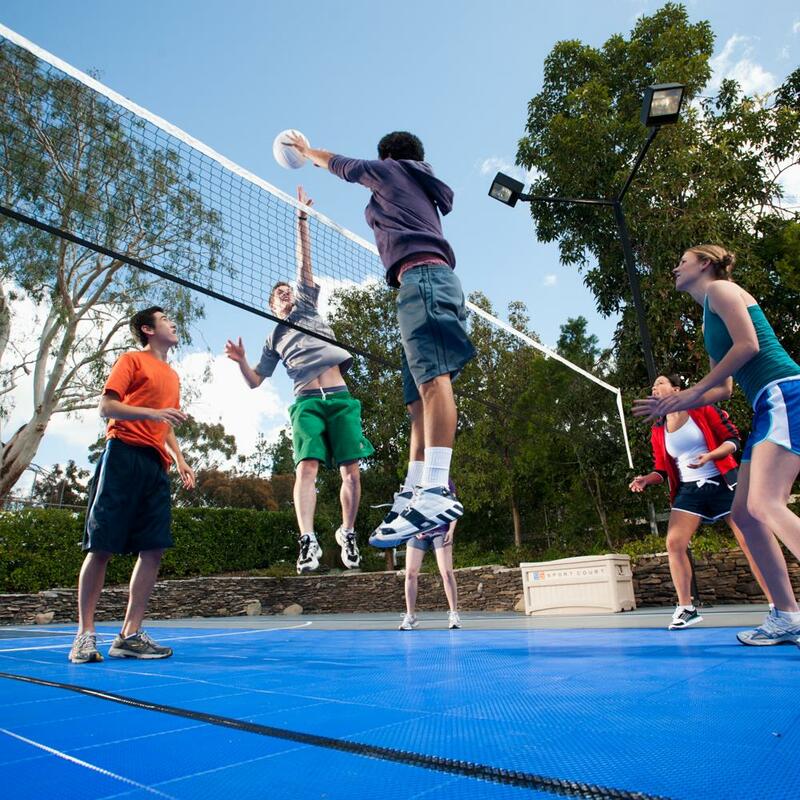 Our Sport Court® Multi-Net systems are designed to shift your gaming needs. 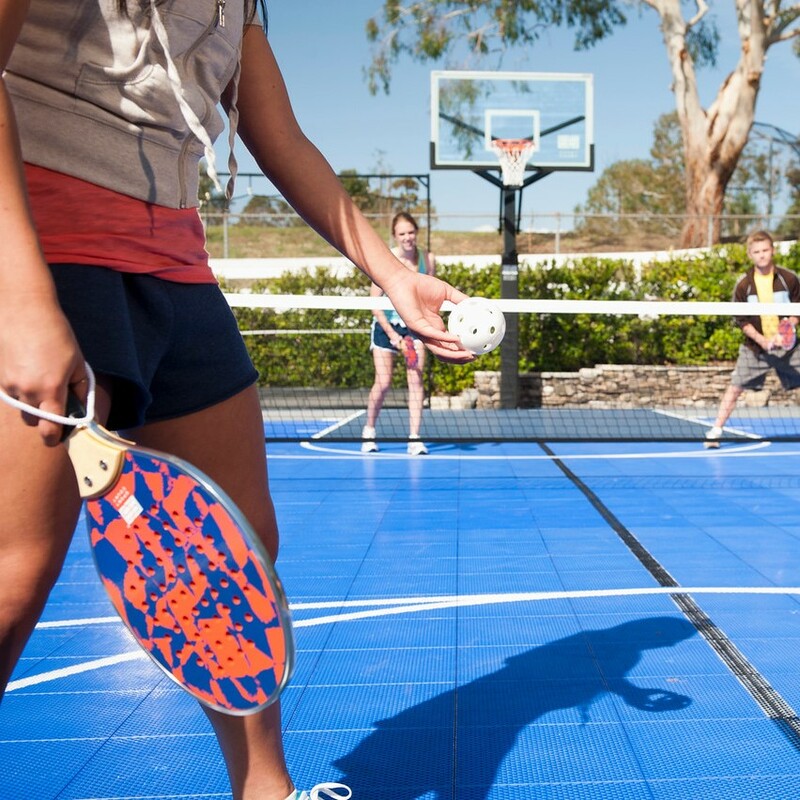 Whether it’s tennis, badminton, volleyball or anything in between, your court is ready for you.